Standing on the edge of the beach, with the surf curling behind you, is the perfect spot to capture the "sense of place" that is the "Four Seasons". You're standing 35 steps from a grand beach home designed to make the beach an extension of the house. Big Anderson windows allow for big uninterrupted views and large, breezy decks are perfect for taking in the sun. 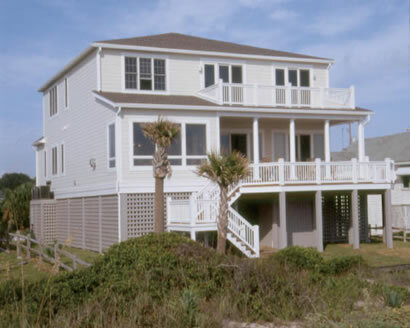 This beautifully detailed, six bedroom, seven and a half bath beachfront house boasts loads of room, lots of decks, panoramic views - all just steps to the ocean - this is truly a dream vacation home! We're building "Four Seasons" to custom standards, then professionally decorating and furnishing her top-to-bottom. "Four Seasons" is completely supplied, so all you do is drive down with groceries and treat your family to their first of many memorable beach vacations.